October 16th 1854. 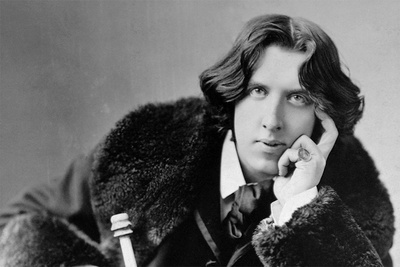 Oscar Wilde is born on this day in Dublin, Ireland. He grew up in Ireland and went to England to attend Oxford, where he graduated with honours in 1878. A popular society figure known for his wit and flamboyant style, he published his own book of poems in 1881. He spent a year lecturing on poetry in the United States, where his dapper wardrobe and excessive devotion to art drew ridicule from some quarters.